Aluminum bell with ribbed lever. 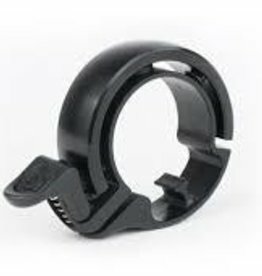 The pivoting dinger and dual-size clamp, which fits 21.7mm to 26mm handlebars, remain the same. 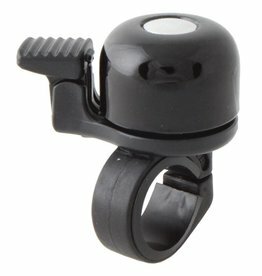 Bike bells generally look & sound a bit ugly. But why? 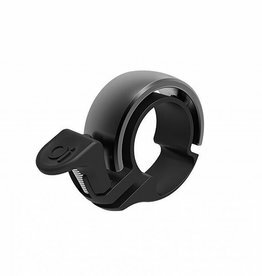 Tool free mount attaches quickly to handlebars 19-32 mm. Solid brass. 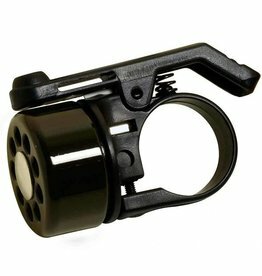 22mm diameter.